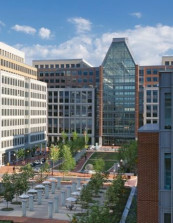 Delta evaluated GWU’s continued ownership vs. sale of 2000 Pennsylvania Avenue, NW, a 350,000-square-foot mixed-use office/retail development in downtown Washington, DC. Issues addressed focused on an institutional strategy for investment in real estate vis-à-vis investment return, risk of ownership, and impact on the University’s balance sheet. 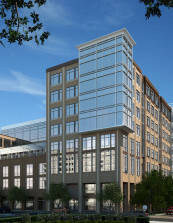 GWU also engaged Delta to prepare a financial analysis of the proposed re-use of its hospital site at Square 54 on Washington Circle, a mixed-use project planned for over one million square feet of space. Delta evaluated optimal returns to the University from a variety of uses, including office, conventional apartments, student apartments, hotel, retail, and conference facilities. 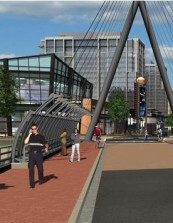 Delta’s client planned a mixed-use development near a Metrorail station in the northeast quadrant of the District of Columbia, to include 156,500 square feet of ground floor retail anchored by a Safeway grocery store, more than 1,200 mid-rise and high-rise multifamily housing units, 6,000 square feet of office space, a 27,500-square-foot library, 170,500 square feet of cultural arts space, and a 55,000-square-foot community center. Delta prepared market feasibility studies and development program recommendations for the apartments, condos, and retail. The main purpose of this retail market study was to determine the level of demand for a retail-based town center in Loudoun County, Virginia, which is one of the fastest-growing counties in the country. 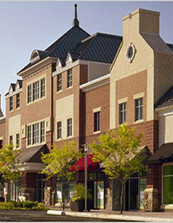 Tasks involved in this study included: evaluate successful town center developments around the US to see “what works”; access supportable retail space in the present and over the next ten years; recommend a retail development program for the proposed town center with regard to tenant mix and design; and recommend staging and sequencing of the retail components of the town center. Delta Associates was selected by Ambling Development Co. to conduct a student housing market study for an eight-acre site adjacent to the South Campus of the University of Maryland at College Park. Privately developed student apartment projects in the vicinity, as well as off-campus apartment projects that cater to a student population were surveyed. A supply/demand analysis was conducted on student housing and conventional, family-oriented multifamily housing in the area. In addition, the sponsor’s planned development program was considered, with regard to unit sizes and mix, unit and project features and amenities, and rental rates. Delta Associates has assisted the developer of this 36-acre planned mixed-use development over several years in support of the planning, design, and approvals process. Delta prepared market feasibility studies and development program recommendations for potential retail, apartment, condominium, and townhouse uses. 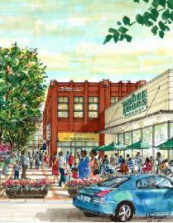 The retail work included detailed evaluation of the potential for a proposed Whole Foods grocery store (which would be the first in Prince George’s County) and a major fitness facility. Delta presented its findings in testimony to the Prince George’s County District Council. 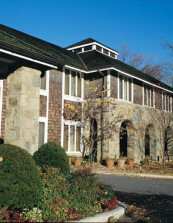 The Children’s Inn is a not-for-profit organization that operates a residential facility on the grounds of the National Institutes of Health to serve children undergoing treatment and their families. Changes in financial reporting standards required Children’s Inn to report the value of property and services contributed by other entities. Delta Associates was engaged to conduct a comprehensive review and valuation of all of the real property and services that The Children’s Inn receives from NIH, including land value, utilities, maintenance, security, telecommunications, landscaping, and mail. This church, located Northwest Washington in a neighborhood that was experiencing strong development pressure, desired an analysis of the optimal use of its parking lot. Delta Associates prepared a comparative analysis of apartment and office development — the two uses for which there is demonstrable demand and likely to be permitted under the site’s zoning. In addition to cash flow analyses showing the church’s relative returns under each scenario, the firm also assessed the pros and cons of each compared to the church’s objectives. 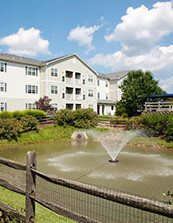 Delta Associates helped LCOR assess the market for an age-restricted (55+), market-rate, apartment property in Langhorne, Pennsylvania targeting the elderly who are capable of completely independent living. The primary purpose of the assignment was to recommend optimal unit mix, rents, in-unit features, project-based amenities, premiums, and to estimate lease-up pace. The secondary task was to provide information on operating expenses for this type of housing to assist with developing a preliminary operating budget. As a part of the assignment, demographic trends for households age 55+ in the general market area were analyzed. 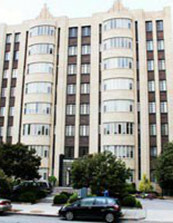 Delta Associates provided assistance with evaluating and recommending performance enhancement for two older apartment buildings in Northwest Washington, DC. 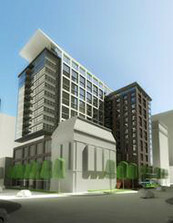 Primary tasks involved included: survey a cross-section of Class A to Class C high-rise apartment projects in the District to understand the competitive environment; evaluate whether investment in improvements to the properties would increase rents; estimate new rental rates for the subjects; and recommend a repositioning program for the subjects with regard to in-unit and project features, management and marketing. The purpose of this market study was to assist ING Clarion with internal planning for a five-story, 75,424 RSF office condominium building and 133,270 SF parking garage on a 7.07-acre site in Springfield, Virginia. 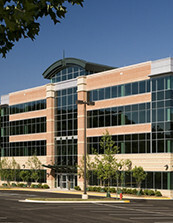 Services provided by Delta Associates include a site evaluation; market data collection for Northern Virginia and the subject’s immediate area, including inventory, vacancy, absorption levels, and rents, as well as demographic and economic data; a supply/demand analysis; and an estimation of sales prices and absorption for the subject. 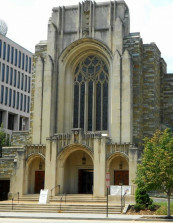 The Bozzuto Group and Abdo Development planned a mixed-use project on land owned by Catholic University of America adjacent to the CUA campus. The 900,000-square-foot development includes 718 multifamily residential units, 45 single-family townhomes, 83,000 square feet of retail space, 15,000 square feet of artist space, a 3,000-square foot community arts center and 850 parking spaces. 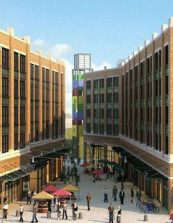 As part of the market feasibility study for the residential component, Delta Associates conducted a detailed analysis of the employment base and potential demand from several large medical and education institutions in the vicinity, including CUA, Children’s National Medical Center, Washington Hospital Center, National Rehabilitation Hospital, Providence Hospital, Veterans Affairs Medical Center, Howard University Hospital, Trinity University, Howard University, and Gallaudet University. 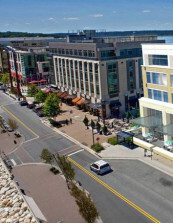 Over the course of several years, Delta assisted the developer of this 300-acre, mixed-use urban development on the Potomac River with market feasibility studies for condominiums, apartments, seniors housing, and office uses. The City engaged Delta to assess the economic and fiscal impacts of the potential move of the National Science Foundation to a location in the Carlyle area. Delta evaluated various scenarios for direct and indirect development impacts and provided the City with inputs to help determine the appropriate level of incentives subsidy to maximize public benefits. The client engaged Delta to analyze space needs, by function, over the coming 10 years based on considerations of institutional mission and technology changes. We prepared a financial evaluation of three types of options — build-to-suit, purchase of existing leased building, and leased (current location or elsewhere). We addressed cash flow and balance sheet impacts of each option, and we managed the broker selection process. 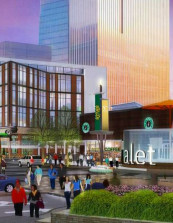 For North Bethesda Town Center, Delta has prepared market studies, development program recommendations, land valuation analyses, and periodic achievable rent studies. This mixed-use project calls for 1,350 multifamily units, 1.2 million square feet of office, and 200,000 square feet of retail, on a 32-acre ground lease adjacent to the White Flint Metro rail station in North Bethesda, Maryland. 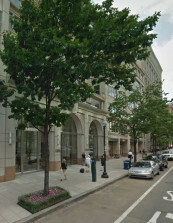 Delta Associates undertook a market study of One First Street, a planned 200,000 square foot condominium project in Cambridge, Massachusetts. 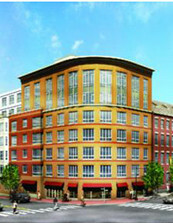 Primary tasks involved included: understanding the health of the Boston/Cambridge condominium market by surveying condominium projects actively marketing or recently sold out in the Boston/Cambridge area; identify the character and quantity of potential buyers; analyze condominium sale activity and project market scale and demand over the near term, and compare this to existing and planned supply; and recommend a development program with regard to unit mix and size, unit and project features and amenities, estimated unit pricing, and estimated sell-out pace. DRI Partners planned a mixed-use development consisting of office, retail, multifamily residential, and hotel uses in Downtown Baltimore, MD. Delta studied the 200,000 – 250,000 square foot office component. 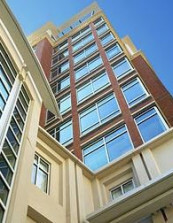 Major tasks included: draw conclusions about current office market conditions and over the next two years in Baltimore City, paying close attention to inventory, vacancy, absorption, rents, and demographic data; project absorption vs. planned supply; survey competitive projects in detail; estimate rental rates and other typical lease terms, and lease-up pace for the subject; and identify likely target tenant types. 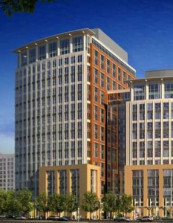 Delta has assisted the several owners of this 350-acre planned mixed-use development south of Washington Reagan National Airport, spanning portions of Arlington County and the City of Alexandria. Delta’s services over the course of 20 years have included market analysis, demand and absorption projections, development programming, land pricing studies, fiscal and economic impact analyses, transit and infrastructure impact analyses, and cash flow forecasts. Recent analyses have included the impact of a planned new Metro station on land values, rents, and absorption. The Hine Group commissioned a market study of townhouses and single-family homes from Delta Associates for a rectangular tract of farmland totaling 145 acres in Harrisonburg, Virginia. 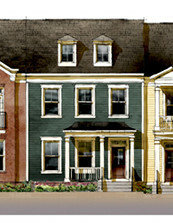 Primary tasks associated with assessing the project include: evaluating the subject site and project plans; analyze market activity, project market scale and demand over the near term, and compare this to existing and planned supply in Harrisonburg and Rockingham County; survey competitive single-family and townhouse projects; and recommend a development program for the subject with regard to unit sizes and mix, unit and project features and amenities, sale prices, target market, and parking solution. The client planned the development of a 33-acre site on the Savannah River on the east side of downtown Savannah. The subject was designed as a mixed-use development project called Savannah River Landing, with residential, office, retail, and hotel uses. Delta prepared market feasibility studies for each use, including development program recommendations, and recommended a long-term phasing strategy to optimize market acceptance and value. St. Elizabeths was built in 1855 as the nation’s first federal mental hospital. 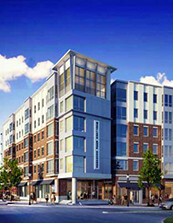 Working with Green Door Advisors, Delta Associates was retained by the District of Columbia’s Deputy Mayor for Planning and Economic Development to conduct a market study and demand analysis for residential (for-rent and for-sale), retail, office, and hotel uses on the St. Elizabeths East Campus, encompassing over 170 acres adjacent to the Congress Heights Metro station. In support of LCOR’s development of a 2.5 million-square-foot headquarters office building for the U.S. Patent and Trademark Office, Delta prepared economic and fiscal impact analyses and advised on various development issues. 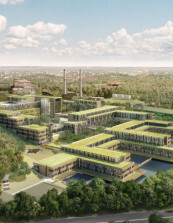 PTO asked Delta to provide advice to assist in deciding whether to provide an employer-sponsored cafeteria and related food services within its planned new 2.5-million-square-foot headquarters in Alexandria, Virginia. Delta’s recommendations included size, location, and operating format. Delta also estimated operating expenses and screened qualified vendors for the facility. Victory Park is a 72-acre master-planned development project on the northern edge of the Dallas central business district that will contain 10 million square feet of hotel, retail, residential, office, and entertainment uses at full build-out. Phase I, completed in 2001, includes the American Airlines Center, home of the NBA’s Dallas Mavericks and the NHL’s Dallas Stars. Phase II includes 225,000 square feet of retail and 50,000 square feet of entertainment space, more than 350 hotel rooms, 360,000 square feet of office space, and almost 600 condominium and rental apartment units. Over several years, Hillwood engaged Delta Associates to prepare market feasibility analyses and development program recommendations for several sites in the development. 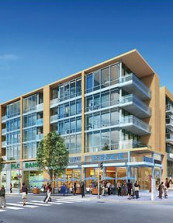 Delta Associates prepared detailed market feasibility studies for this planned mixed-use development. Delta studied and made recommendations for the project’s 324 rental apartments, 151 condominiums, 75 hotel-affiliated condominiums, a 240-room four-star hotel, a 75-room boutique hotel, 890,000 square feet of office, and 300,000 square feet of retail. 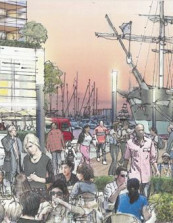 In addition, the developer planned cultural, recreational, and public spaces. The Woodlands is an 18,000-acre new town near Houston that commenced development in 1973. 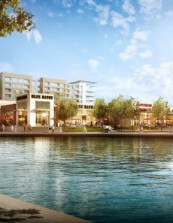 Over many years, the developer has engaged Delta Associates to evaluate many urban land uses, including conference center, golf resort, regional shopping center, and residential. Our work involved long-term projections of demand and supply, and recommendations regarding product type, pricing, and phasing.